Vicki here on this last Monday in March sharing my "Faith" card using Tutti Designs Butterfly Corner, Scalloped Stitched Nesting Circles and Snowglobe Expressions - Faith. 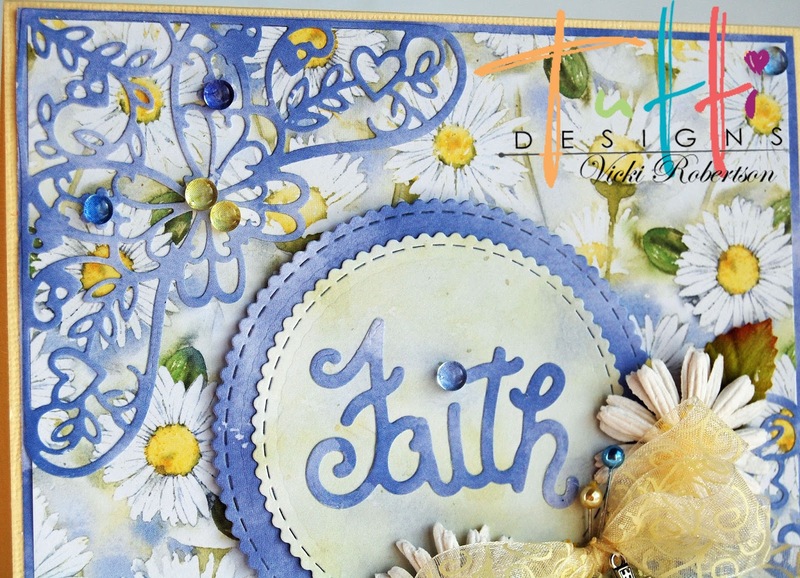 Wild Rose Studio's, Dancing Daisies Collection, was perfect for this inspirational card. And, what better way to compliment daisies than with butterflies? 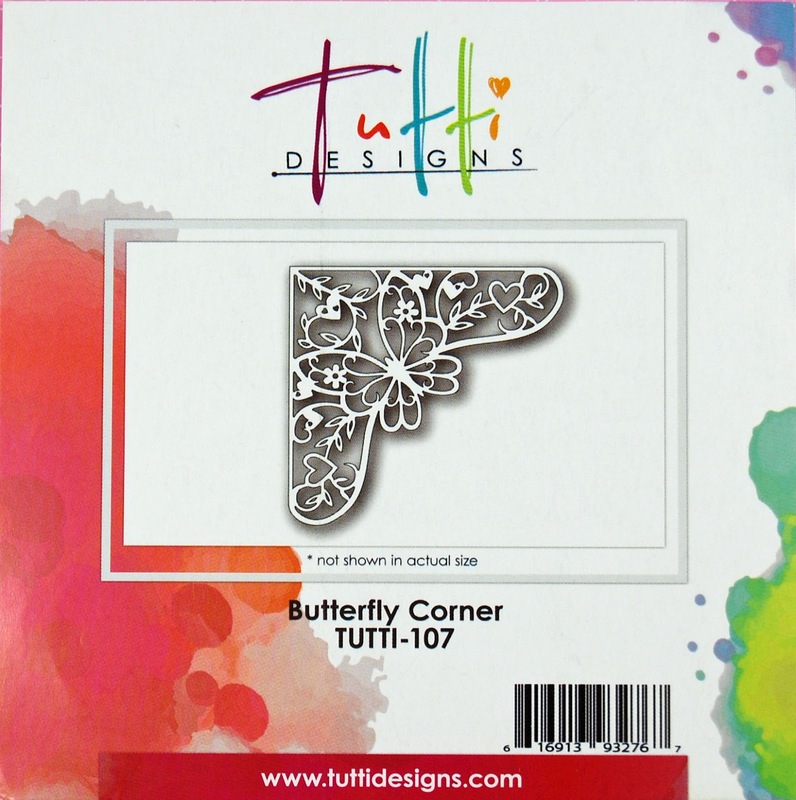 I cut two Butterfly Corners and placed them opposite each other diagonally using the open area between them for the sentiment. 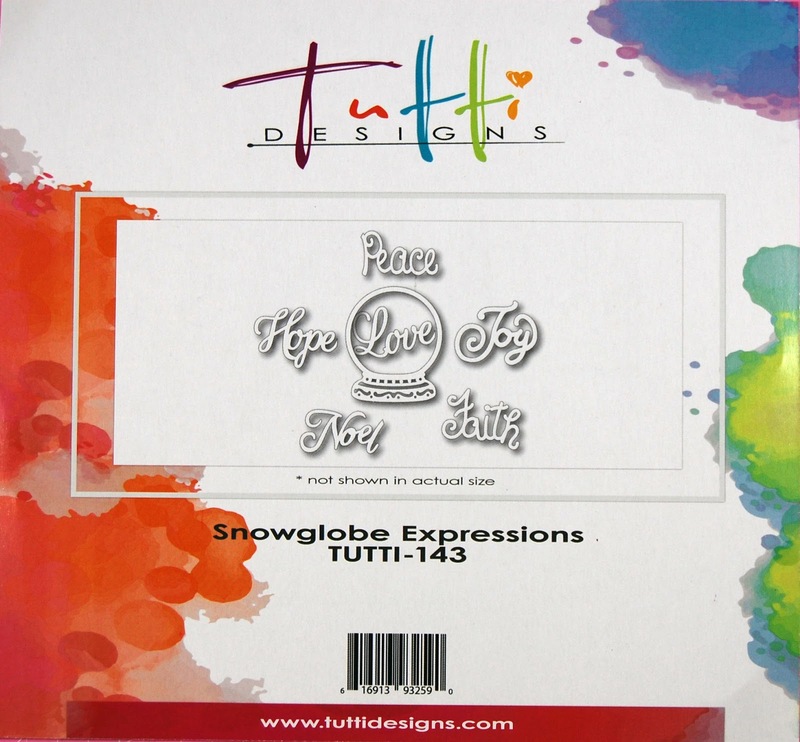 The Faith sentiment is from the Snowglobe Expressions set and matted with Scalloped Stitched Nesting Circles. The sheer ribbon bow is accented with a couple of daisies, stick pins and a cross charm. 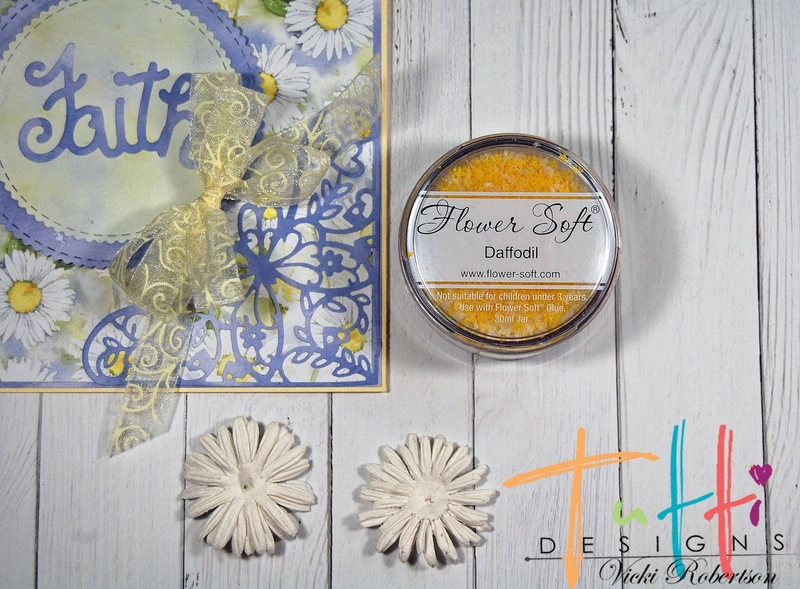 Flower Soft gives great dimension and texture to flower centers. 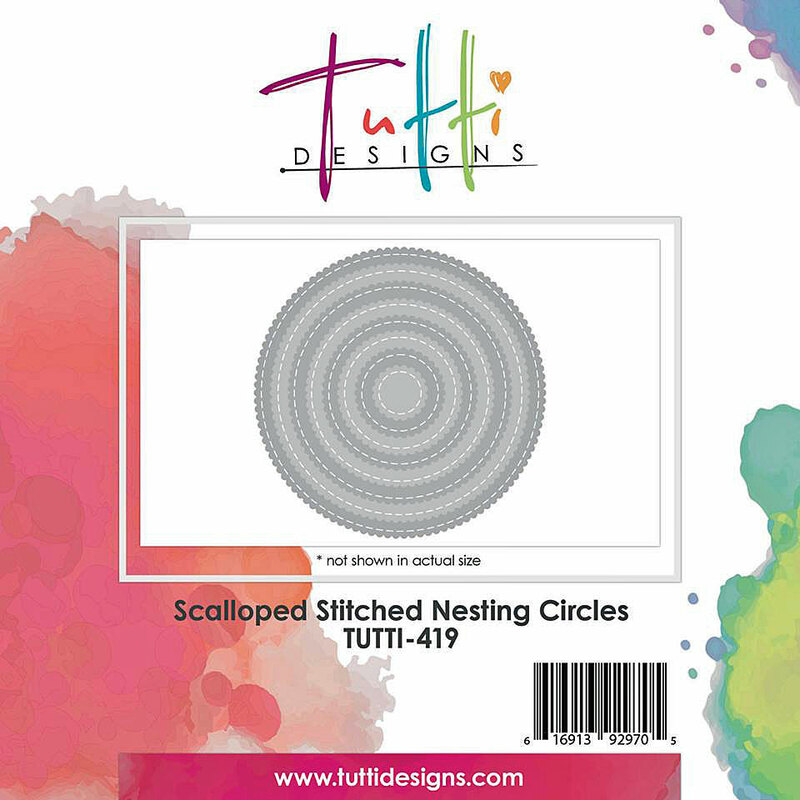 A close up of the intricate Butterfly Corner along with the amazing details of the Scallop Stitched Nesting Circles. 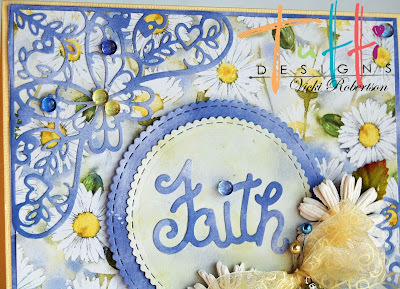 Thank you for stopping by to share my "Faith" inspiration for Tutti Designs! Just BEAUTIFUL! 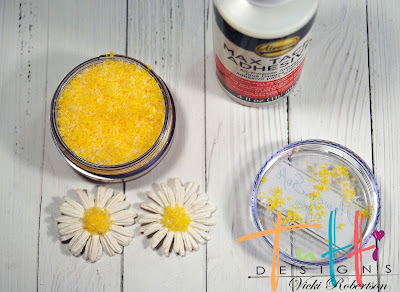 Love the soft yellow & blue color combo! 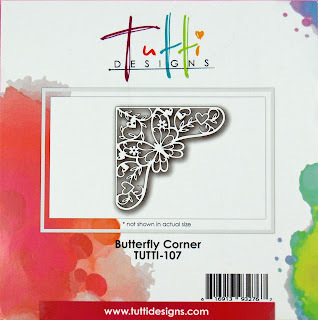 Great design with these dies! Thanks for wonderful inspiration! 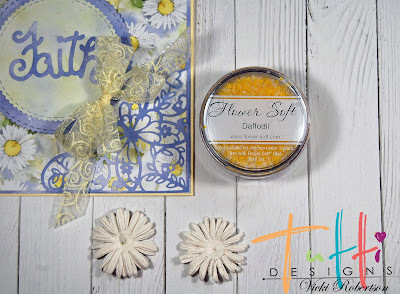 Wow, this is beautiful, I agree with Dar, the soft colors are just gorgeous with this die!! Thank you, Dar, Di and Kirsty! I love these papers. My first collection of them. This is gorgeous! Love the pretty blooms! This is really very beautiful!